Photographer and Installation Artist, Sarah Hobbs has been transporting audiences into the hidden minds of those around us. 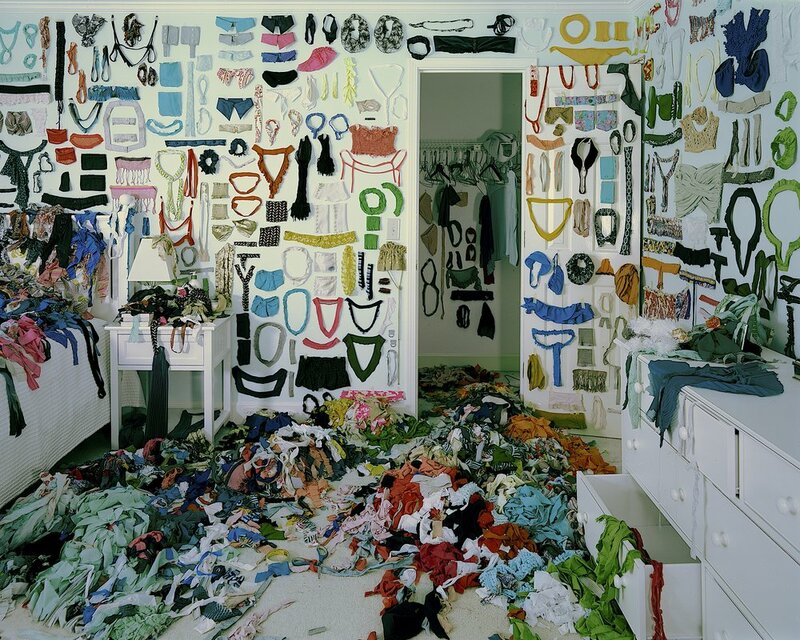 Her work through photographs and installation provide a glimpse into the innermost secret musings of a stranger. Constructing elaborately staged backdrops in abandoned buildings, hotel rooms, and even storage units, Hobb’s peels back the curtain and grants access into the off-limit scared space of an every day person’s life. Despite discovering worries and anxieties behind those locked away doors, Hobb’s has been successful in showing levity and beauty in troubling experiences. Her primary goal in creating her work is to provide a sense of empathy and understanding. Sarah Hobb’s holds a BFA in Art History and an MFA in Photography both from the University of Georgia. Throughout the years she has received awards and honors such as Forward Arts Foundation Emerging Artist Award, Hudgens Prize Finalists, and most recently “Volumes” Project Residency at Air Serenbe. Hobb’s has shown in numerous group and solo exhibitions both nationally and internationally. Prior to her opening solo show, Twilight Living at Hathaway Contemporary Gallery, Rigby Ink sat down with Sarah to discuss her creative journey and her abiding interest in human psychology. Rigby Ink- How did you decide you wanted to be an artist? What was the process after school figuring out the work that you do now? Sarah Hobbs- My family had a lot of creative influence over me throughout my childhood. My grandfather was a hobbyist photographer who helped foster my interest. When I turned 9 years old I had saved up money to purchase my own Polaroid camera and from then on my grandfather was always gifting me with film or cameras on my birthdays. My mother was also someone I was inspired by. She had such a strong curiosity for art and art history. I remember one day we were sitting down and watching Ferris Buller’s Day off together. During the scene when the characters are walking through the Art Institute of Chicago, my mom was able to name every artist shown in that scene. I recall being so shocked that she could recognize the artists based on the style alone. I wanted to know more about that so when the time came for me to go to college I majored in Art History. It took me a while to mature to a point that I could identify what I was most interested in. While in college you’re assigned so many projects, but I found that I loved finding abandoned houses and buildings and photographing them. I still love doing that. Ultimately, what I recognized was that I was drawn to the psychology of those spaces. I didn’t know who lived or worked in those spaces so I spent a lot of time pondering the idea of who those people were. I started to harness that psychology to create a specific space to further drive focusing on the visual rather than just the theory. That's when I began making installations and photographing them. Rigby Ink- When viewing your work I was curious if you had taken any psychology courses or if it was purely an intuitive idea for you? Sarah Hobbs- Retroactively looking back I think it just came naturally to me. There are times when I think I should have taken more psychology classes, but again I have never wanted to delve into the psychology too deeply. I don’t want to get mired down in research and all of those tangents of study. That isn’t what I want from my work. I want to be able to interject a little humor and my goal is empathy to connect with people. To be critical or callous isn’t my intent. The work I do can be very cathartic for me. I have to go into the issue when making an installation. Part of why my work is so hyperbolic is it helps me to really feel it. Early on in my work, an intuitive professor cautioned me to be careful not to take on the feelings of the work. It was sage advice, but through experience I’ve decided really feeling those emotions is worth using. Ultimately it makes the work better. Rigby Ink- You’ve described your work as compulsory and that you even feel a rush of endorphins while creating. When did you first discover this method and a process for communicating that compulsion? Sarah Hobbs- I have always had a love to arrange things. Organizing and rearranging is something I get a lot of satisfaction from. While in college I was coming up with concepts for work. The psychology of the spaces and adding my drive to organize things was an ah-ha moment for me. I think all artists have or hope to have those moments. For me traveling around taking beautiful photos was fabulous, but I wanted it to mean something. My work has to say something. It takes a while for artists to figure out what they’re trying to say. So I was very lucky that the drive that I had met with what I had to say. Rigby Ink- Can you tell me about how you first conceptualize a project and what is your process of assembling an installation? Sarah Hobbs- In the beginning, I was adamant about having a specific process. I would think of concepts and then the materials. I try to use everyday materials…nothing that you wouldn’t find at Target, Home Depot, or a Party City. Everyday items to match with the everyday life I am creating in my work. Before I would find the materials and then choose the space. I’d allow the materials to inspire me on what direction space would take. That worked well for a while, but then there came a point that it felt too rigid. Sometimes I’ll see a space and then five years later it makes sense to use it. Or I’ll hold onto materials until I find a space where it makes sense to use them. These days it’s all very organic now. I have a long list of concepts and ideas. Some I try to execute through photography and if they don’t work in that medium, then they may work as installations. The most important thing is for me to always be open. I’m always thinking about that list of concepts from when I wake up in the morning until I go to bed at night. It’s just maintaining awareness for space, ideas, feelings, and materials. Books, movies, and music, everything can be an inspiration. Rigby Ink- In your past installations, it appeared that you were attempting to provide audiences with a glimpse into someone's innermost thoughts, their worries, their secrets and the things that they would never want to share. Specifically, in Repository, I wonder what interested you in this subject of hiding one’s private self? 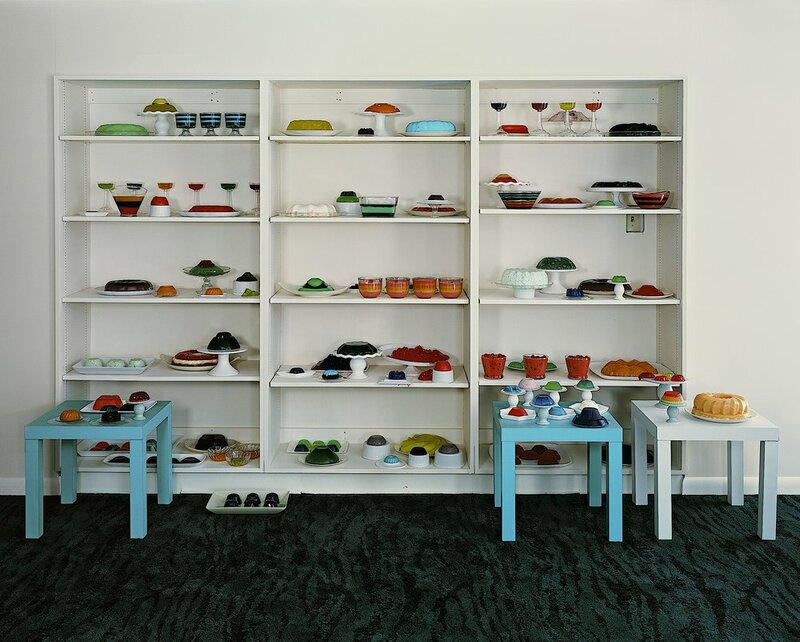 Sarah Hobbs- For that installation, I used rented storage units. They were perfect for that installation because of the psychology of the storage units. A person can have a storage unit and nobody else would ever know. They could be anonymous, pay cash, and whatever they put in there or did inside of it could be private. I considered how people use storage spaces. To remove things that they no longer want in their homes. I wanted to get a little dark and create a space where people would remove items they no longer want to hold in their minds. Someone that wanted to compartmentalize their issues and push them away. One unit served as a confessional from one person. It was a room full of her slights…not really sins, but things she would feel guilty about like ignoring a phone call from someone. Inside the room was filled with 2,000 confessions inside of boxes. You walk in as the viewer and you see that this woman is a mess and she has no one to talk to. All of those feelings are compartmentalized and hidden away. To some degree, we can all identify with those feelings of vulnerability. Rigby Ink- As you mentioned your work has a strong message for empathy, specifically for the human condition. You communicate urgency and desperation to really see what someone’s life is like. What that person’s existence is like. Why is that an important message for you to share? Sarah Hobbs- I think that we’re all inherently curious about what's going on with other people. For me personally, I take on the emotion of other people and that can be difficult for me to move on from those emotions. In a sense creating the work I make helps me to feel better and to put something out into the world that I hope other people can look at and feel better too. On the flip side, I do believe that there is this idea that we as people are all a little bit nosy. We all want a chance to see the most private area of someone or their home. I find it interesting to consider how other people live. Rigby Ink- Your recent installation Keepsake at the Zuckerman Museum’s Louder Than Words are a collection scrapbooks that contain beautiful images of nature that also illustrates the exploitation of Earth’s resources. You’ve not been political in your previous works and you mentioned that this installation was a leap of faith for you. Can you tell me more about that? Sarah Hobbs- Prior to creating Keepsake I had just concluded a project with The Bentley Rare Book Museum that sat in both Kennesaw State and in Air Serenbe. At that time I was interested in learning more on the topics of ephemera and marginalia. I met with the owners of Underground Books, Josh, and Megan. They provided me with a catalog of Victorian scrapbooks. Those scrapbooks were absolutely stunning. Incredibly detailed and filled with pages and pages of stories. The scrapbooks were made by young women in Victorian times. When you look through the books you realize that these women must have spent an enormous amount of time collecting various mementos and treasures to include in their scrapbooks. There are also beautiful hand illustrations found in the books that is a practice known as grangerizing. It was as a reaction to the text or is just sort of their take on things to leave behind. I even found some propaganda scrapbooks. I became interested in these books, particularly these young women in Victorian times. They had no voice, no voting rights and lived in their parents home with nothing to do. When the curator of Louder Than Words, Teresa Bramlette Reeves reached out to me about creating an installation for the show I had those victorian scrapbooks in mind. I thought about how I could take this library of books and bring them into a contemporary setting. These scrapbooks make a statement, but they’re just one small voice. As individuals, that's how we can also feel. Overall, the effect of Keepsake is of a person very preoccupied and disturbed by the environment. My family and I recycle and that’s important to me, but when you think about it we’re one family dropping a plastic bottle in the recycling bin and then there are these huge corporations creating mass pollution. It can feel like we’re all swimming against the tide. For the exhibition, I created 66 books and the idea is that they’re full of images gathered by one person. The books are a collection of environmental textbooks, nonfiction regarding the oil industry and caring for trees, to doomsday dystopian novels. One of my favorite books is one that has images of cell towers that are made to look like trees beside images of fake Christmas trees. It's the juxtaposition of images that I really like creating. Rigby Ink- In your upcoming show at Hathaway Contemporary, you say, “This idea of salvaging the self and the life one knew is avoidance of society today and all that entails. We are in a truly ambiguous period at present, but in holding on to a past that was comfortable, one cannot move forward in life.” That seems very relatable, not necessarily to the political environment today, but just everyone’s day to day lives. Sarah Hobbs- There is a play titled Medea which is a Greek tragedy. The main character Medea’s protest is in the public opinion of her versus the private. People will talk about you for whatever you do and they will also talk about you if you do nothing at all. It's hard to sell yourself, but if you turn away and go inward then you don’t hear the noise. On social media the people you’re not around and that you don’t know are speculating about you. It may be some sort of statement you’ve made that you thought was innocuous and that gives cause for people to jump at you. The political environment is definitely a part of this. Our entire social structure, social media and how we relate to people today can fill us with anxiety. There is all of this information about people that is out there and available to the public, but in reality, can we say that we really know that person. The installation I created inside of Hathaway is a collection of everything and nothing that this woman has held onto. This act of collecting and holding onto to items can give her the false impression that she is living her life, but in reality, she is stuck and unable to move forward. Twilight is currently on view at Hathaway Contemporary Gallery through May 11th 2019.